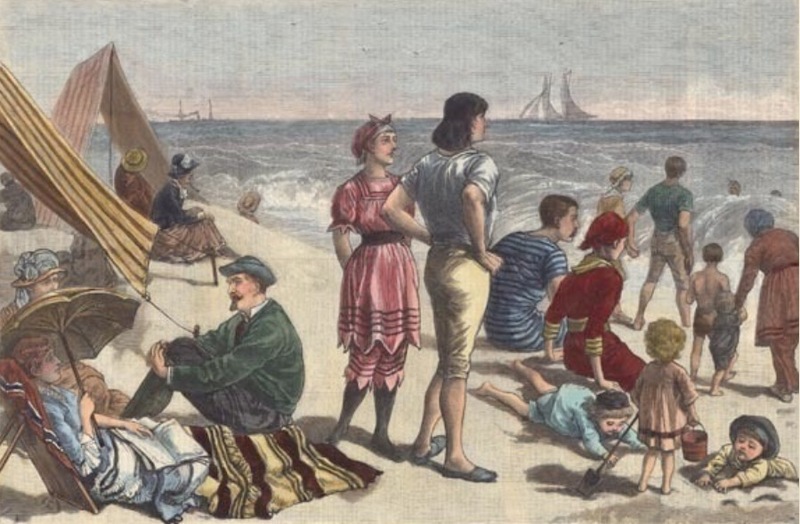 A week or so later a full-page illustration by a staff artist appeared in Frank Leslie’s Illustrated Newspaper (above colorized) with the title “A Scene at Long Beach.” It showed a group at the beach, and although the people were not identified, the image was used to illustrate a society article about Wilde and Sam Ward. There seems little doubt, as Maud Howe Elliott also implied in a caption to the same illustration in her 1938 memoir Uncle Sam Ward and his Circle, that the men depicted were intended to be Sam and Oscar. So much seems apparent. But it is also possible to identify the young lady in the picture who is admiring Wilde, as well as the little girl nearby, her daughter. In 1882 Alice Pike Barney and her family spent the summer at New York’s Long Beach Hotel, and she and her five-year old daughter, Natalie, had a chance meeting with Wilde. 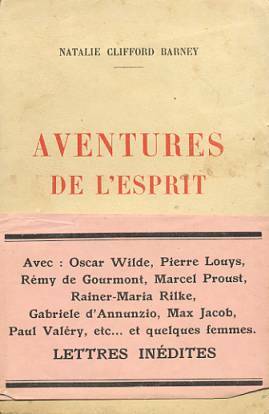 In her memoir Aventures de L’esprit (1929) Natalie Barney recalled what she nominates as her First Adventure: the story of how Wilde scooped her up as she ran past him fleeing a group of small boys, and held her out of the boys’ reach before sitting her down on his knee to tell her a story, what she recalled as “a wonderful tale.” Thus, a friendship developed with Natalie’s mother, Alice. Alice’s husband had abandoned her at the shore and returned to New York (as was his wont), so she and Natalie were able to spend the next day with Oscar on the beach. The acquaintance turned out to be precipitous for the mother and prescient for the daughter. For Alice, the mother, her conversations with Wilde changed the course of her life. Oscar inspired Alice to pursue art seriously despite her husband’s disapproval. As a direct result, she would go on to study under Carolus-Duran and James McNeill Whistler, and later wrote and performed in several plays and an opera, working to promote the arts in Washington, D.C. 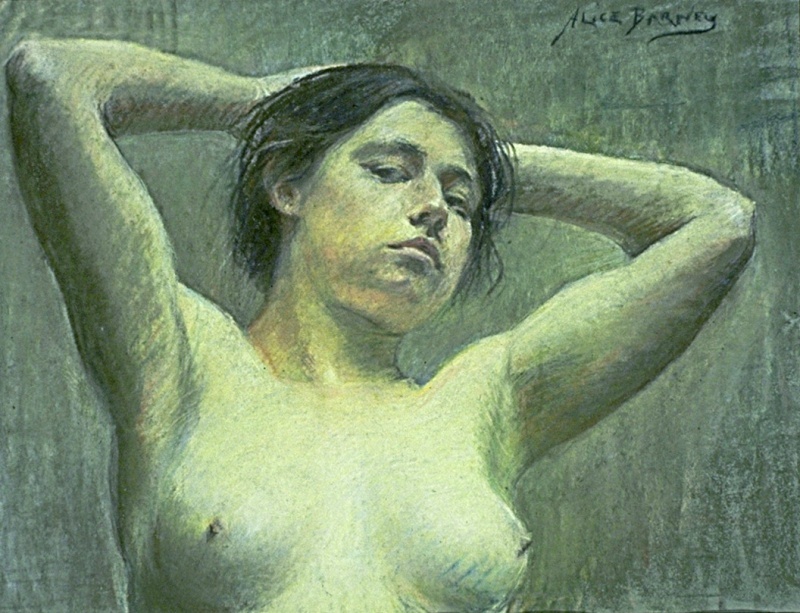 Many of her paintings are now in the Smithsonian American Art Museum. 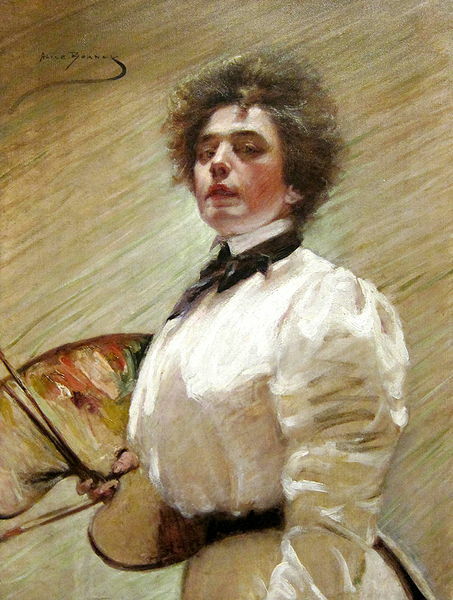 For Wilde, whose stated aim on his tour was to introduce the arts to America, this achievement, unknown to him, must be regarded as a great success for his mission. 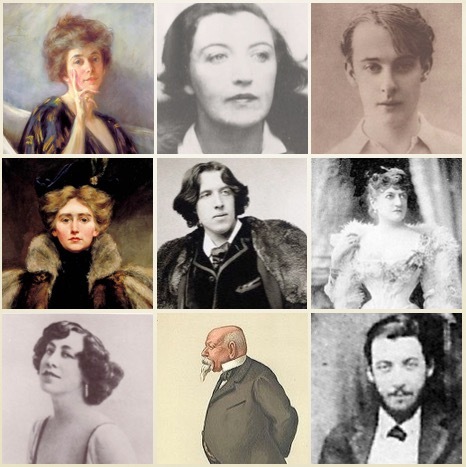 Natalie, the daughter, grew up to be Natalie Clifford Barney, a playwright, poet and novelist resident in Paris, during which time she served on committees “that commemorated both [Wilde’s] birth and death.” . As early as 1900, she was openly lesbian and published love poems to women under her own name, before going on to found a salon of decadent Modernists on the Left Bank for more than 60 years. Within this clique Natalie Barney conducted many non-monogamous relationships, but the intrigue is in the fact that at least two of her lovers had Wildean connections. 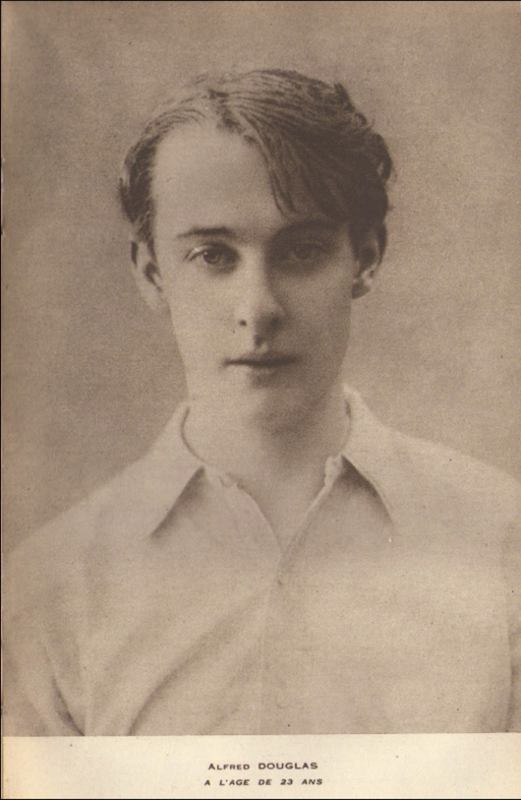 The first was a brief affair with Olive Custance, the future wife of Wilde’s own lover, Lord Alfred Douglas, whom Douglas had married after Wilde’s death. Through this relationship Natalie came to know Douglas quite well, befriending him during his visit to Washington DC, and later becoming godparent to Douglas’ and Olive’s only child, Raymond. Not to be outdone, Oscar’s brother, Willie Wilde, now adds to the complexity. In 1891 he had married Mrs Frank Leslie, the proprietor of the very newspaper that published the illustration ‘A Scene at Long Beach’. A nice little conjunction. 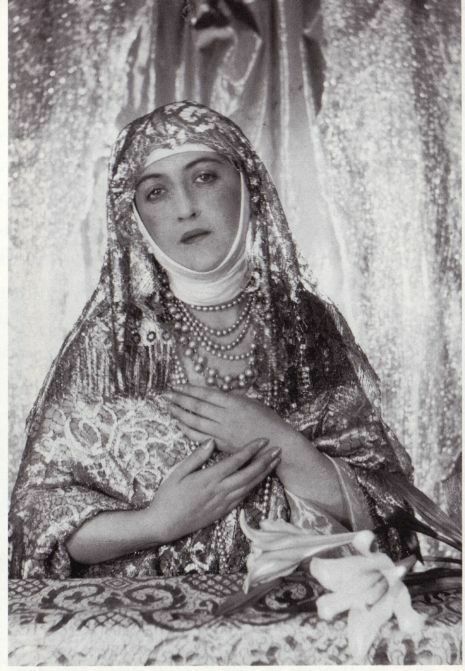 But the intrigue is that much later, in 1927, Natalie Barney met and cohabited with Dorothy Ierne Wilde, known as Dolly Wilde, Willie Wilde’s only daughter from his second marriage: Oscar’s only niece. The relationship was a passionate one for both Natalie and Dolly and continued until the latter’s death in 1941. Perhaps the most intrigue is provided by Oscar himself who, after having been present at the birth of these intertwined relationships, died not knowing anything about them. 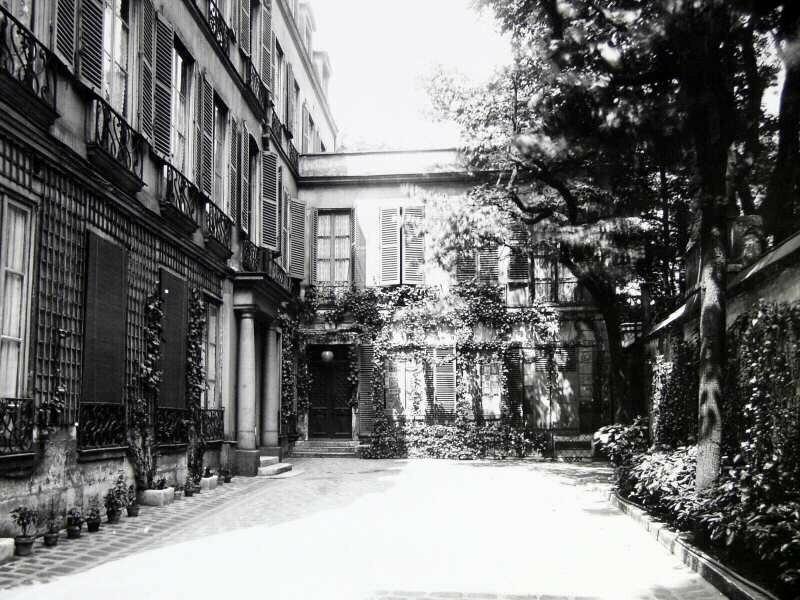 The Pavillon at 20, Rue Jacob where Natalie Barney’s salon was held for 60 years. Maud Howe Elliott (1854-1948), whom the press had erroneously linked romantically with Wilde, was the daughter of Sam Ward’s sister, Julia Ward Howe, the prominent abolitionist, social activist, poet, and author of The Battle Hymn of the Republic. William Henry Hurlbert (1827—1895), editor-in-chief of the New York newspaper The World. Noted in Truly Wilde: The Unsettling Story of Dolly Wilde, Oscar’s Unusual Niece, by Joan Schenkar. Virago, 2000. p 151. Fully recounted in Wild Heart: A Life: Natalie Clifford Barney and the Decadence of Literary Paris, by Suzanne Rodriguez, ‪HarperCollins‬, ‪2003. pp 30-33. Another good one! Thank you. Very very nice job, John, as usual. 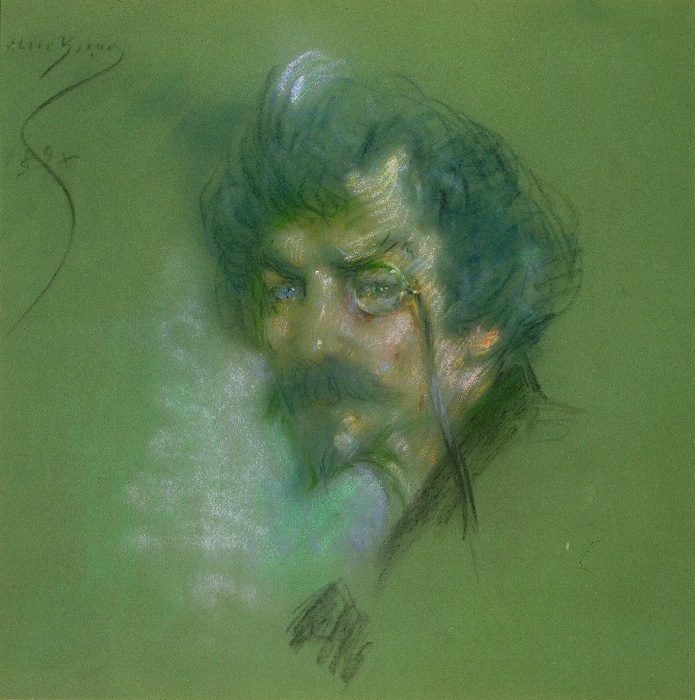 I love to see the name Carolus-Duran for he was the father-in-law of the great comic French playwright, Georges Feydeau who is right up there with Moliere and Wilde when it comes to writing comic plays and – raised in Paris – he has so much heart. I have read his entire works and my sheets are still stained from the tears of laughter that tumbled down over my cheeks. I may read all his plays again, not to mention those of the other two playwrights. I think Ierne may be a Roman name for Ireland. Again, John, your work is invaluable and most interseting. I look forward to it as to a real treat. I plan to save this posting of yours for a while and enjoy it again and again. You are remarkable – and those marvelous photos! A good scholarly mind – you must be a helluva poker player – or chess. I’m not bad at Hearts. You must have a wonderful love life then! 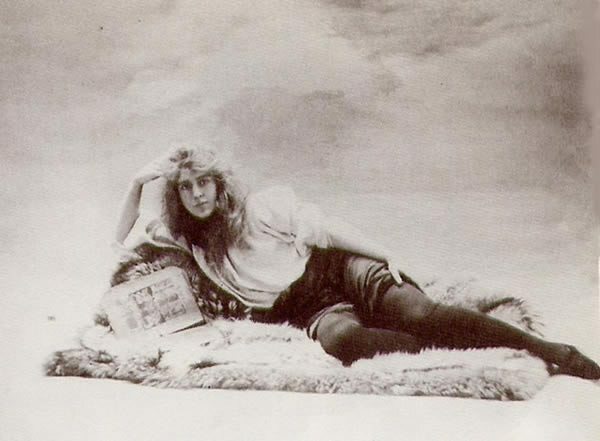 A young girl whom Oscar Wilde met on vacation in 1882 became the lover of Wilde’s future niece and also had an affair with Wilde’s own lover’s future wife. Confused? Then read on. John, this is an excellent connect-the-dots. To take this off-camera (so to speak), is it not also true that Mrs. Frank Leslie (perhaps already Mrs. William Wilde) was the one who suggested to famed Gilbert & Sullivan producer, Richard D’Oyly Carte, that he bring Oscar Wilde to America? Allegedly she attended an opening performance of Patience in NYC and suggested to Carte that he might consider introducing the real ‘Bunthorne’ to America. 1881	9	22	Colonel W.F. Morse opens Gilbert and Sullivan’s Patience in the Standard Theatre, Broadway, NY. Morse, at the suggestion of Mrs Frank Leslie (1836.6.5-1914) forms the opinion that a personal appearance by OW would boost attendances. 177 performances. 1889	7	19	William Rene Oliver de Lorncourt, Marquis de Leuville and Mrs. Frank Leslie, at vestry office, Mount Street, Grosvenor Square, declare their intention to marry. 1890	7	10	William Rene Oliver de Lorncourt, Marquis de Leuville and Mrs. Frank Leslie call at the Registrar in London and take out a marriage licence. She denies this in two weeks time. 1890	7	24	Mrs. Frank Leslie denies calling at the Registrar in London [1890.7.10] to take out a marriage licence with William Rene Oliver de Lorncourt, Marquis de Leuville, and he does not contradict her. 1891	8	10	The Morning Call (San Francisco, Calif.): “The report that William Wilde, brother of the sage-green esthetic, Oscar Wilde, is about to marry Mrs. Frank Leslie quivers so tremulously upon the blanc mange of silly gossip as to be hardly worth repeating, except as a test of public credulity.” Mrs. Frank Leslie (1836.6.5-1914). 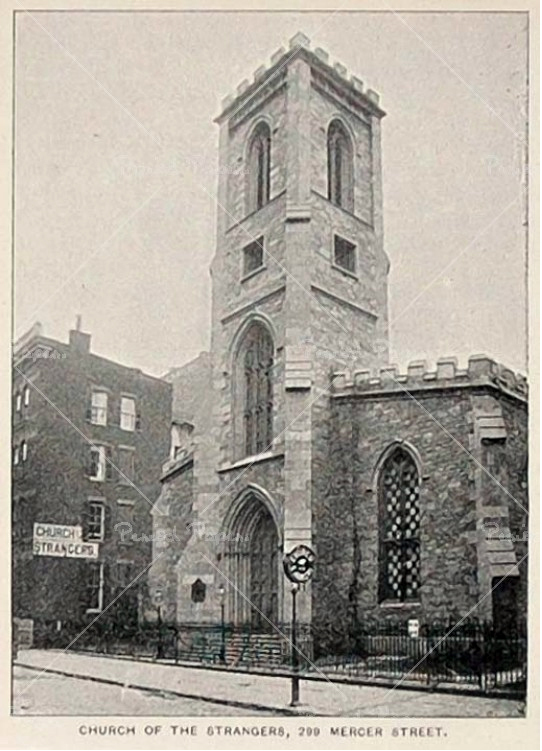 1891	10	4	Willie Wilde (1852-1899.3.13) and wealthy widow Mrs. Frank Leslie (nee Miriam Folline 1836.6.5-1914) are married in the Church of the Strangers, 229 Mercer St., NYC. She is proprietor of the Frank Leslie Publishing Co. (NY) and is first to suggest OW’s US lecture tour. Frank Leslie (1821-1880.1.10). Mrs Leslie was a helluva girl. Read her book about the trip she and friends took from Manhattan to the Sierras aboard a luxury train. She whipped her late husband’s newspaper empire into shape, too and she made at least a very famous couple of quotes about Willie Wilde. As JD’s chronology implies Willie did not become “Mr Frank Leslie” until 1891, a decade after Wilde’s tour was mooted, and but you’re right she was instrumental in the idea of Wilde visit. Fantastic, thank you both for the detailed clarification. I didn’t realize William Wilde married here in NYC. Did they maintain homes in both London and New York? I should know this, but where was brother Wille at the time of the trials? Walter, to think I took you supping in the Slaughtered Lamb and failed to mention we were around the corner from the very spot in Mercer Street where they were married. A marriage that didn’t last. Willie was back in London at the time of the trials. Of course, Willie probably not able to pass sobriety tests to hold his own in Mrs. Leslie’s social circles. When next in NYC, I’ll buy lunch and we can re-trace some of the steps. To be fair Peter, I don’t think Walter was joking about Willie, and certainly not randomly towards the Irish. Willie Wilde’s drinking was an unfortunate feature of his marriage to Mrs Leslie, and he eventually died from complications related to alcoholism. Thanks for this informative article. I’ve always wanted to see photos of Dolly and Natalie and a more candid one of Douglas than what is usually shown when he is mentioned with Wilde. Very interesting. Thanks Jack. For more on Nat and Dolly see the books cited at the end of the article. Ah yes, you had touched on this briefly during the tour and I was thinking just the other day about wanting to know more details before I shared that tale with some colleagues. Well timed! It’s all so endlessly fascinating how people are linked together, isn’t it?